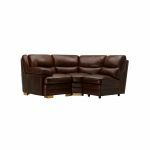 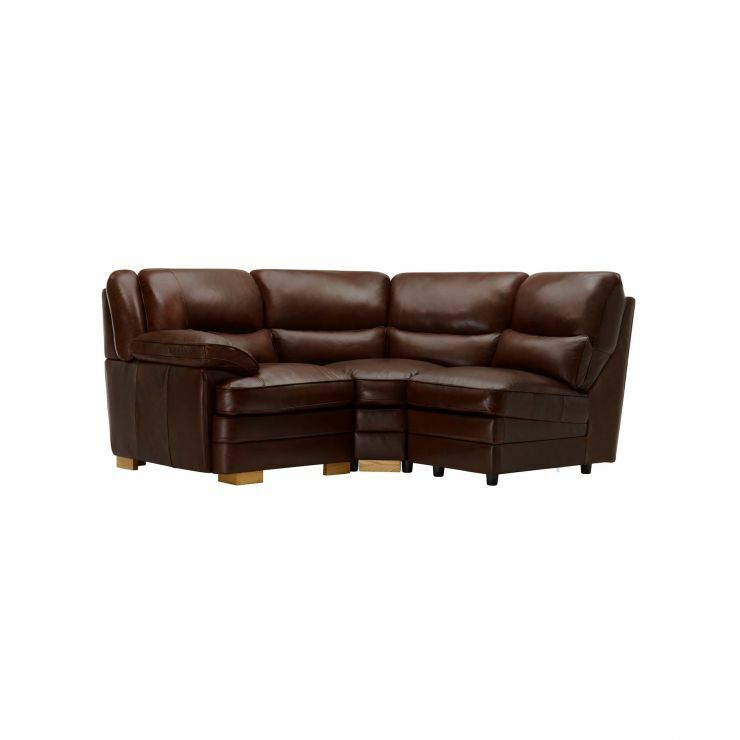 Give your living room a touch of classic luxury with the Modena modular group 6 corner sofa in Tan leather. 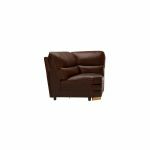 Made up of a left hand, corner, and armless module, it has a compact yet open appeal, enhancing the welcoming atmosphere in your home. 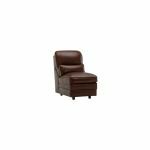 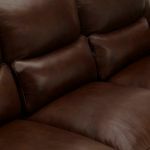 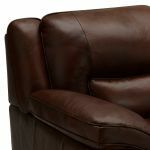 Complete with real leather upholstery, it will maintain its sophisticated appeal and high quality finish for years to come. 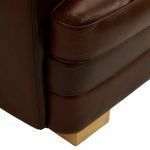 The frame utilises pinned and glued joints, along with real hardwood, to ensure a durable foundation for the pocket-sprung seat cushions. 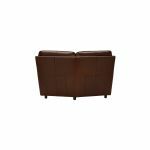 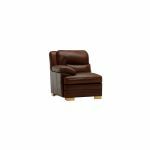 Undeniably stylish and irresistibly comfortable, it’s great for small living rooms or when incorporating additional seating in a large space. 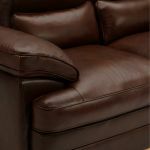 Finish it off with a matching footstool from the Modena range.